The Board of Directors of Invest Puerto Rico, Inc. (InvestPR) has announced that the entity is officially operational. InvestPR, a nonprofit investment organization created by Act 13-2017, will promote Puerto Rico as a competitive investment jurisdiction to attract new business in order to drive economic development and create new, well-paying jobs on the island. The entity will also provide services to help businesses establish themselves on the island and connect them with local companies to acquire goods and services, in collaboration with the Department of Economic Development & Commerce (DDEC) and other government agencies. InvestPR’s launch comes as the government of Puerto Rico is working to implement other reforms to attract businesses and jobs to the Island, as part of the Fiscal Plan. These include passing and implementing reforms to labor laws, permitting regulations, and the Island’s tax and incentives codes. “The structural reforms in the Fiscal Plan address the historic problems that have limited Puerto Rico’s competitiveness and made it more difficult and expensive for companies to invest and grow in Puerto Rico. The government is also very focused on providing greater certainty to investors by implementing the Incentives Code, which will be one of InvestPR’s main promotional tools,” said Manuel Laboy, Secretary of Economic Development and Commerce and the Chairman of the Board for InvestPR. Over the coming months, InvestPR will begin to take on some of the investment promotional activities previously held by DDEC, such as representing Puerto Rico at investment conferences, fielding inbound requests from businesses, and coordinating with local stakeholders, while the government will continue to service existing businesses in Puerto Rico that are looking to expand. Recently, officials from InvestPR joined other government officials at the Select USA investment summit held outside of Washington, D.C., aimed at attracting international investment to the United States. 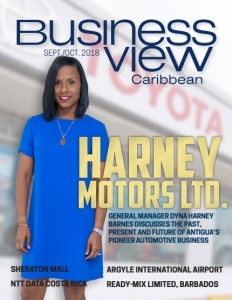 In addition to collaborating closely with the government and with the recently established Destination Marketing Organization (DMO), InvestPR is reaching out to local stakeholders who are critical to attract new investors to the island. InvestPR’s goal is to align, facilitate, and enhance the promotional efforts of private, public, and non-profit organizations that have historically supported the promotional efforts of the government and drive economic development within their sectors. InvestPR recently met with representatives of several industry associations to start identifying opportunities for collaboration in the future. InvestPR recently appointed Ella Woger-Nieves as its Director of Operations. Woger-Nieves is from Puerto Rico, and brings nearly 20 years of experience in strategic marketing and management consulting as well as experience working with Fortune 500 companies in strategic sectors like life sciences and financial services. Check out this handpicked feature on Lifetime Solutions – Trinidad and Tobago.